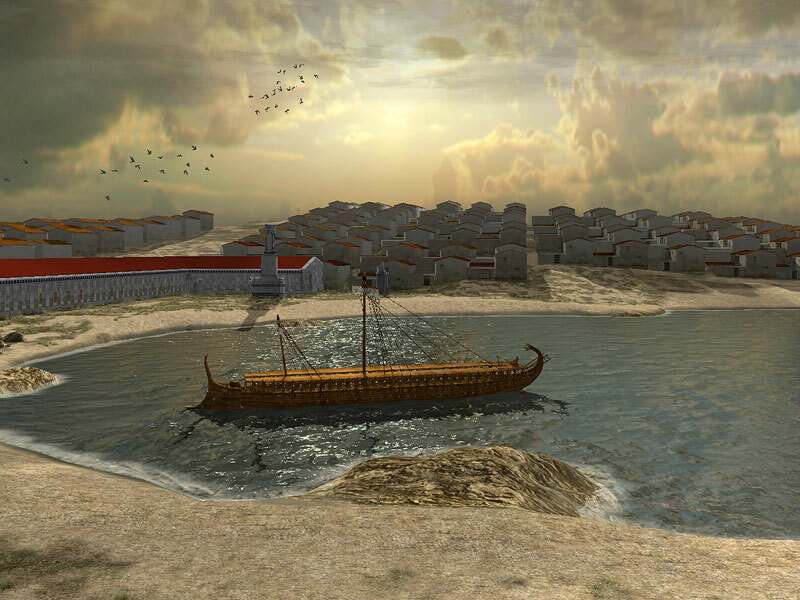 Τhe Lion Harbour was situated between the Theatre hill and the north part of the Humei Τepe hill, and penetrated deep into the north part of the Miletus peninsula. It was the main military port of the city. It was named after the two sizeable marble lions adorning the narrowest point of its entrance since the 3rd century BC. The lions are not in their original position today; the one is in a very good condition and the other was found broken into pieces. 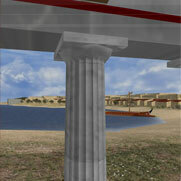 A long L-shaped Doric stoa (32 m), which was built in the Hellenistic years and accommodated shops and storehouses, was built on the waterfront. In the Roman years there were two significant monuments in the southwestern corner of the Harbour: the Large and the Small Monument. 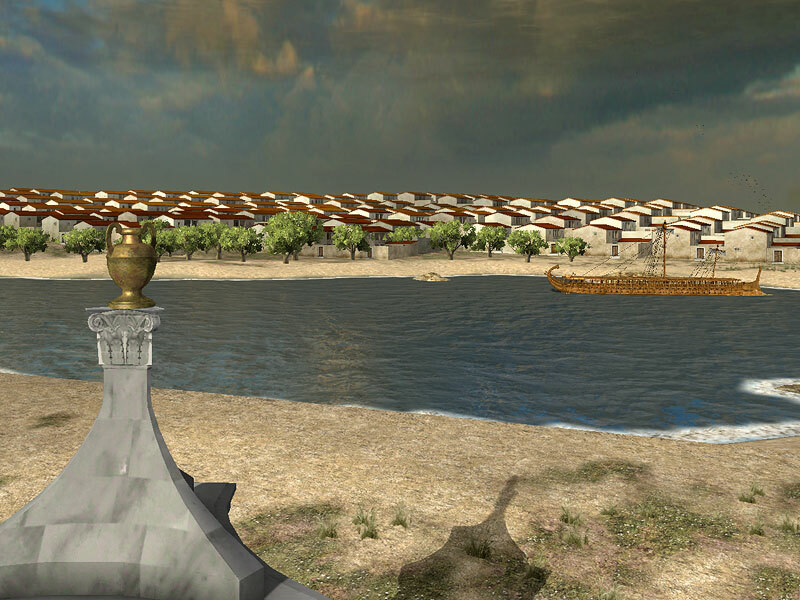 The North Agora, the main agora of Miletus, developed on the south side of the harbour after the Persian wars. In the southeastern corner of the Harbour there was a monumental gate built in the 1st century AD, which offered access from the harbour to the city. Only the foundations of this luxurious construction have been preserved. 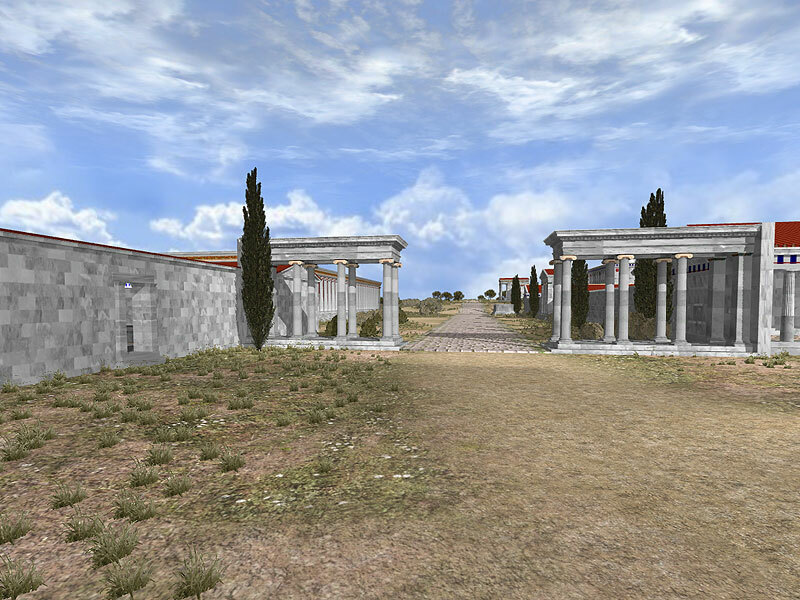 The remains of the Hellenistic and Roman Delphinium, the starting point of the annual sacred procession that made its way to the temple of Apollo in Didyma, have also been preserved in the southeastern corner of the Harbour of Lions.